Polymer foaming provides a vital way to cut material use and weight in plastics and elastomeric products from packaging to long-term construction applications. It also provides additional attributes such as increased insulation and impact absorption. The environmental benefits of foam technology can be very significant and the regulatory standards particularly in the use of blowing agents have helped the industry to enhance its green credentials. The former chairman of Sealed Air, one of the world’s largest foam packaging producers, will give the key note address on this subject at Polymer Foam 2013, the third AMI international conference on blowing agents and foam processing, which will take place at the Marriott Hotel in Hamburg, Germany from 19-21 November 2013. Synbra Technology is another big player in packaging foam and has successfully developed new products using bioplastics materials. Cellular layers can be incorporated in films and Buergofol GmbH has successfully produced foamed APET sheet. Dow Europe, as a leading blowing agent supplier, has studied ways to maintain mechanical properties in foamed films. Zotefoams, the leading UK-based foam company is looking at replacing crosslinked polyolefin roll foams with greener cleaner microcellular foams. Material suppliers are carrying out advanced research into foam production: the SABIC chief scientist for foam is examining material rheology for die optimisation. Borealis has a long chain branched polypropylene that has high melt strength and extensibility for manufacturing low density foams without crosslinking, making products easier to recycle. For construction, Arkema has developed a PVDF concentrate for applications such as plastic pipe production. 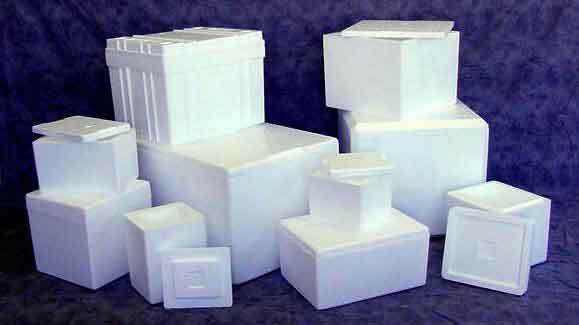 There have been changes to the regulations regarding flame retardants in expanded polystyrene (XPS) foams and Ferro has developed new formulations of masterbatches specifically for this industry. There are innovations in blowing agents with Tokuyama Sekisui’s thermally-expandable microcapsules for polymer foaming. BASF is studying ways to improve control of the cellular production process and has developments for making particle foams more elastic.There is technology supplied by Promix Solutions based in Switzerland for adapting existing processing equipment to extrude foam with a CO2 blowing agent. In injection moulding, Trexel has a physical foaming process enabling light weight design. At the Polymer Processing Institute in New Jersey, Dr Kun Hyun is conducting industry-focused research on single screw selection for commercial XPS foam extrusion, while the German Institute of Plastics Processing (IKV) is looking at the material behaviour of blowing agent-loaded melts. Cellmat Technologies is a spin-off company from the University of Valladolid under Dr Rodriguez-Perez and offers patented processes for manufacturing open-cell, crosslinked, moulded polyolefin foams using cheaper moulds than injection moulding and a compression moulding process, and another new technique for making non-crosslinked open cell foams. Professor Volker Altstaedt from the University of Bayreuth is working on one of the plastics industry’s hot topics, graphene, in relation to polymer foam. The thermoplastic elastomer industry continues to develop and there are new foaming methods and applications too. Professor Chul Park at the University of Toronto is the world expert on physical foaming processes and has completed studies on TPEs including PEBAX and TPU. From the end user perspective, Cabot Microelectronics has successfully carried out microcellular foaming of TPU, looking at the effects of annealing on morphology. Materials, blowing agents and machinery suppliers are tailoring their products to facilitate industrial foam production, from stronger polymers to adaptations of existing equipment for foaming. The AMI conference Polymer Foam 2013 provides a forum for product designers, plastics processors and foam professionals from industry and research institutes to study innovations in cellular polymers from blue sky projects to take-home technology.